ST. PAUL PARK, Minn. – Firefighters make great sacrifices to serve their communities. Jeremy Bourasa just set a new standard. 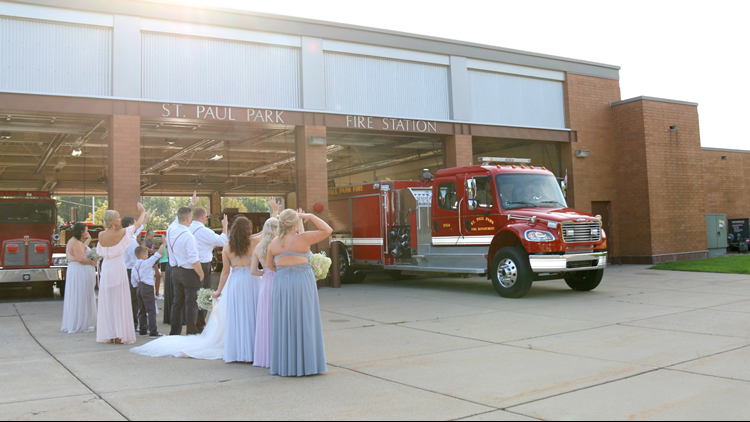 When the alarm sounded, the St. Paul Park firefighter left his own wedding to help put out a fire. 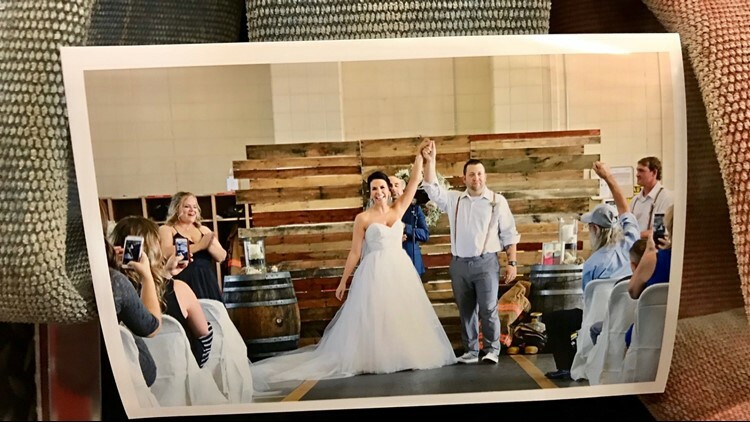 “Without hesitation, I took off my wedding clothes, put on my turnout gear and stepped on the first truck that was heading out,” Jeremy says. 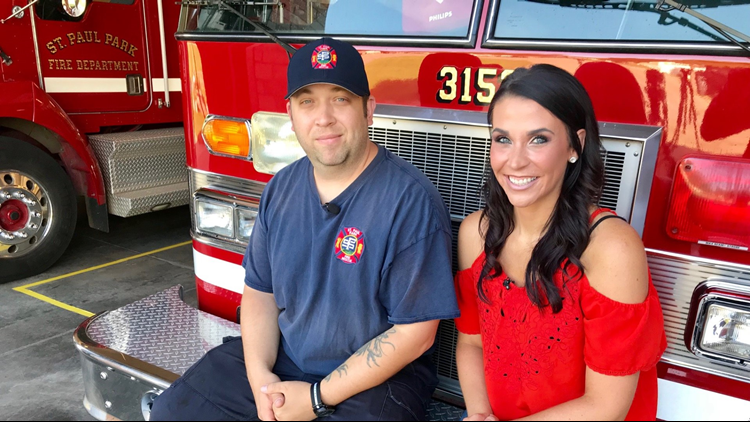 Jeremy and his bride Krista had already rolled with the punches once, when they lost their venue weeks before their wedding and decided to move their ceremony into the fire station. Kirsta and Jeremy Bourasa just after their fire station vows. But Krista’s mood changed as the couple began taking photos just after the ceremony. Mutual aid was needed for a house fire in nearby Cottage Grove. Krista and Jeremy had more photos to take, and guests would be waiting for them at the reception. The eyes of the bride and groom met, and Jeremy was gone. 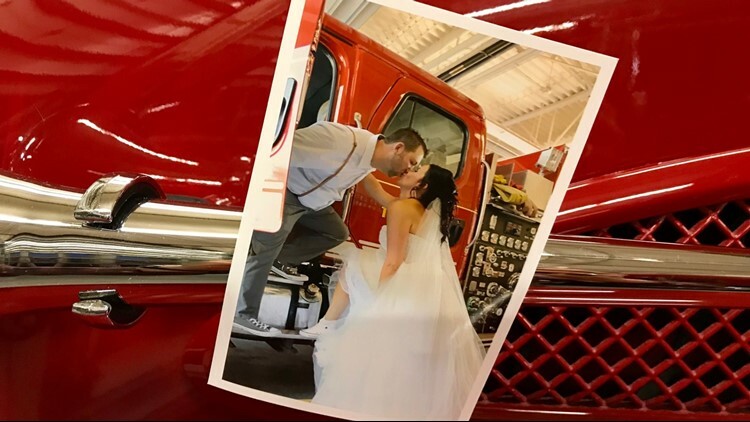 Jeremy and Krista Bourasa were married at the fire station. 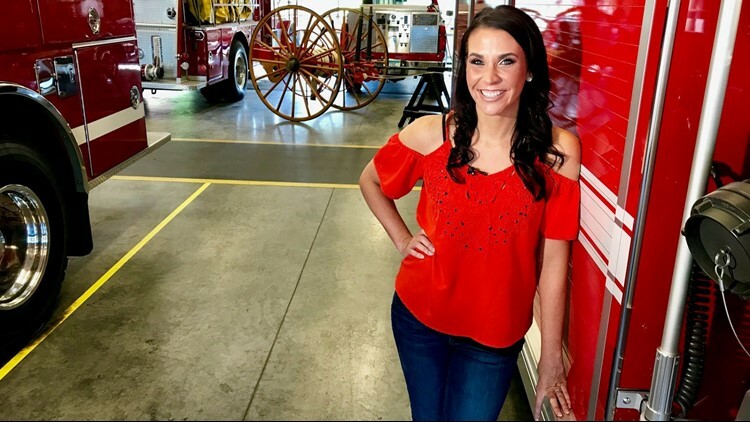 Wedding photographer December Orpen quickly snapped a photo of the bridal party waving goodbye as Jeremy – a paid on call firefighter - left in a fire truck. Jeremy Bourasa (inside the fire truck) leaves his wedding. While Jeremy helped fight the fire, Krista’s father escorted her into the reception. She led a prayer before dinner for both the firefighters and the family that was losing its home. Krista’s selflessness is not without explanation. Two years ago, her niece and nephew died in a house fire. Eleven-year-old Aaron Foster and his 9-year-old sister Kathryn had been visiting relatives in Ohio, when their aunt’s house caught on fire in the early morning hours. “It was extremely tragic, unbelievable,” Krista said. Just a year earlier, Krista’s sister had also lost her home in a house fire. “It’s hard for a lot of people to realize, there’s things that are more important than you at the moment,” Krista said. Life experience has taught her otherwise. Jeremy and Krista Bourasa days after their wedding. After three hours, Jeremy returned from the house fire, in time for a first dance with his bride. Never had he felt more blessed to have Krista in his life. Note: The cause of the fire Jeremy fought is still being investigated. A GoFundMe page has been established for the family that lost its home. For more information click here.